Today I've got some groundbreaking news to share with you. I. Love. Bows. 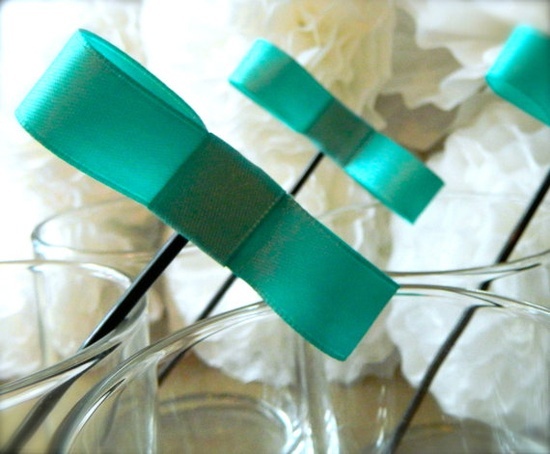 Bows of all kinds make me happy, and it's really the little things isn't it? With all the crazy crap in this world, you've got to find pleasure in the silly (albeit pretty) things, like bows. This is not news for anyone that knows me. It's sort of my jam. It's like my true loves are really wine, cheese and bows. Don't judge. My number one gal pal Kate Spade has an affinity for bows, and I have an affinity for everything online and in her store. Sign up for their emails - their sale prices are amazeballs. 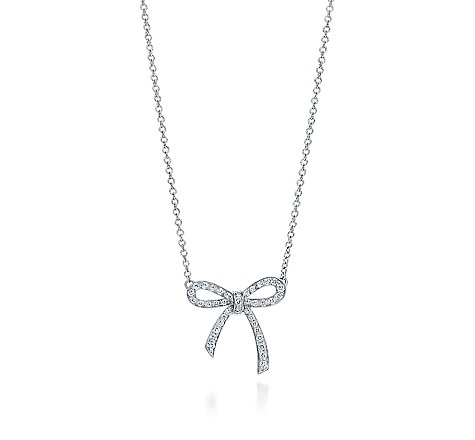 In my dream bow world, I would own this diamond bow necklace from a little store you might have heard of, Tiffany & Co. Swoon. Since I probably won't be spending $2 grand on a diamond bow necklace anytime soon, I'll settle for this little pretty. 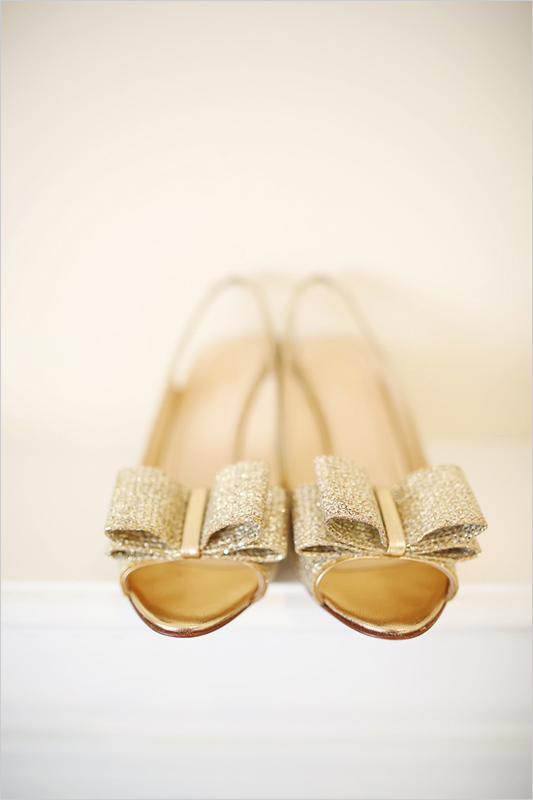 If I was wearing these glittery bow shoes, I would probably skip around all day and annoy everyone with my perkiness. 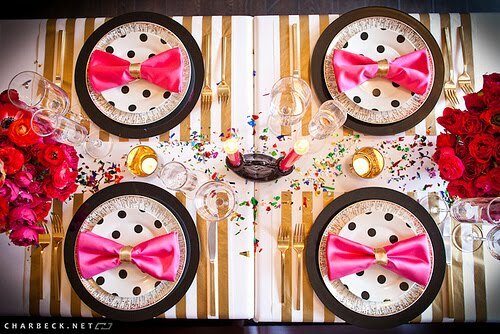 Like most things, you can incorporate bows into all things party. 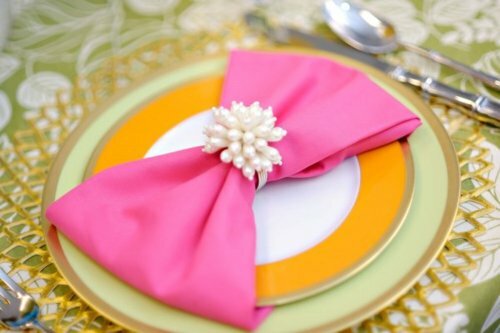 Like bow napkins - can I get an OMG? 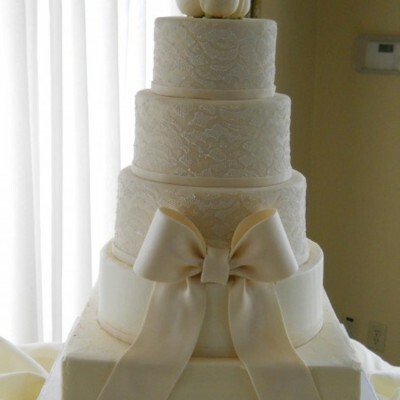 ... or how about a Bow cake for your wedding or special event? 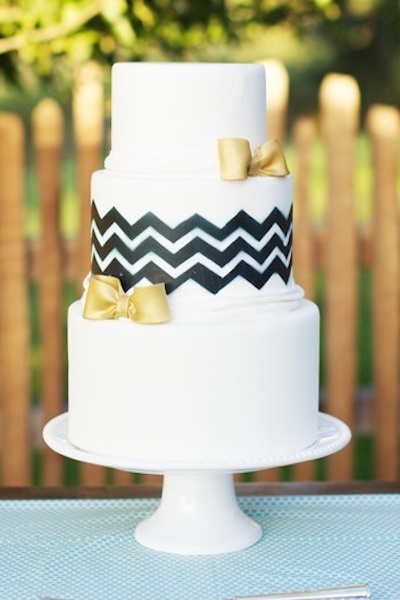 These striped cuties were from Pizzazerie's real life wedding featured on Martha Stewarts site. It's amazing, take some time to look through it all. Full wedding HERE. 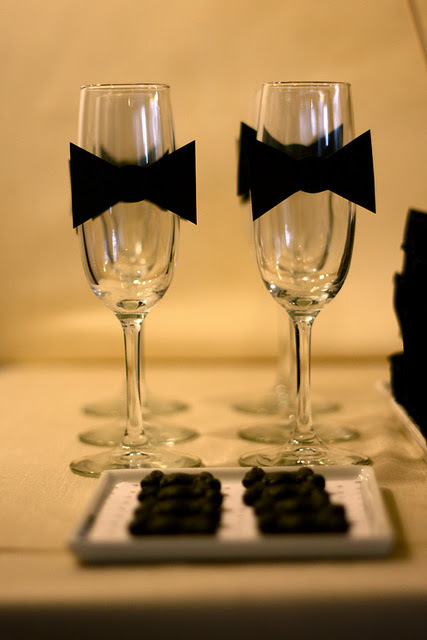 Champagne flutes can be black tie too! 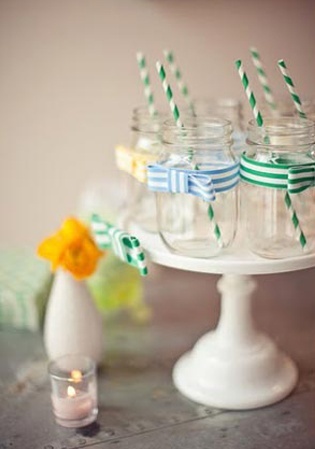 For a little less formal look, try bows on your mason jars for just about any occassion. 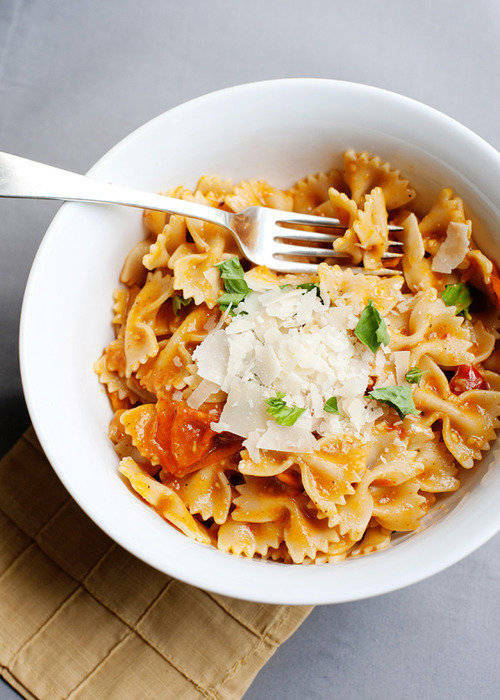 My personal favorite type of bow is bow-tie pasta. Hee-hee. Claire makes a scrunchy face that I just love. She's thinking... about how many presents Aunt Jackie is going to give her. Here's a sweet picture of Mr. Fo (aka Uncle Stu) with his new niece. His reaction to her was pretty precious, I must say. He was smitten. And here I am with the brand new babe. I love you Claire and I can't wait until we're BFFs! 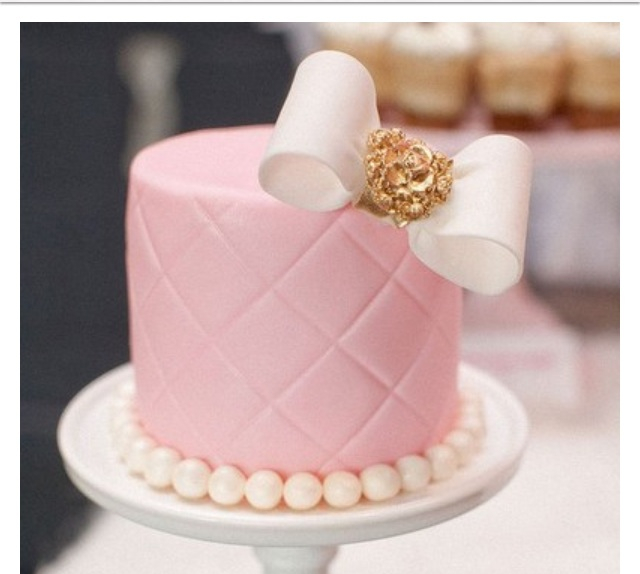 Love that champagne colored bow necklace! But of course the show is stolen by your new niece. What an adorable little peanut! Congrats again!